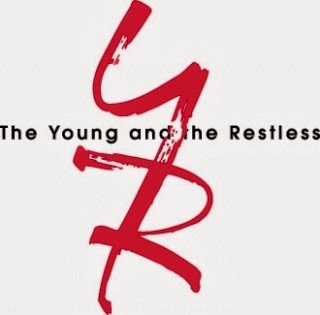 The Y&R writers had better step up and get some of those storylines moving faster.I don't know about you but I'm frustrated by the slow pace of the show. It seems to me that the writers focus on one particular storyline, such as Delia's death or the hostage incident at the Genoa City Athletic Club and leave everything else on the back burner. Some stories move at such a snail's pace that viewers forget about them or simply lose interest by the time they return to the spotlight. The focus is now on the Ian Ward storyline. It's moving quickly but many of the others are not. Ward has been arrested for extortion but we haven't seen the last of him by any means. The Abby and Tyler storyline with stalker Mariah seems to be going nowhere slowly. It's been on for months and we still haven't seen Mariah's face. All we know is that she has a tattoo on her wrist. Move it along please! Is Phyllis ever going to come out of that coma? I realize that they are probably trying to persuade Michelle Stafford to return to the show, but sooner or later they have to make a decision and get the storyline going before we forget about Phyllis altogether. It already seems as if she has died. I'm also tired of the continual bickering between Neil and Leslie over Leslie's reluctance to get married. That's been going on too long. They've broken up now so move it along! As for Dr. Stitch, also known as Ben Rayburn, the bits and pieces of his past are finally being revealed. It seems he had an affair with Kelly that destroyed his marriage. He also did something that "Kel" finds unforgivable. For a social worker, that Kelly certainly is a home wrecker - not that it doesn't take two to tango. Stitch and Billy are by no means innocent either. Still, the troublemaking blonde has perfected her "poor me, I'm all alone in town and you're my only friend" routine and Billy Boy has much too weak a character to resist. Sure, Kelly's son died but that doesn't give her a licence to do what she has been doing. She's so persistent that not even the wrath of the Princess Victoria has deterred her. Sorry to be so negative but right now I am a disgruntled about the direction the show is taking. I really miss Billy Miller as Billy Abbptt and Michael Muhney as Adam Newman. I am, however, enjoying Ray Wise's performance as Ian Ward. Ward is such a slippery weasel.. I can't wait for him to come face to face with the Big Man, Victor Newman. How will the Black Knight handle such a sneaky, conniving villain? Using violence against Ward hasn't worked for Nick and Dylan. He always seems to find a way to escape their grasp. As for Clueless Paul, he doesn't have a chance against the shifty cult leader. It's evident that Fen the Mouse will soon be drawn into Ian's terrible trap. He's a perfect target for the master manipulator Ward. Fenmore's devoted father, Michael Baldwin, will no doubt become involved in the imbroglio. 3. Child deaths. Many viewers were upset and turned off by Delia's death. After all, Nick and Sharon are still grieving Cassie. 4. Characters returning from the dead. Here are some remarks from regular commentator CC from Etobicoke, Ontario. Between the Cassie look-alike storyline and the new twists about Courtney it confirms for me that the writers make plot lines up as they go along. I think they determine plot importance based a good deal on character popularity. Courtney seems to be surging ahead of Summer at the moment, hence a u-turn in her character profile. Yes, CC, I couldn't agree with you more. For a while, they were undecided as to whether Courtney was gong to be a bad character or not. They finally decided to make her an upright undercover cop. Perhaps it was because, as you put it, she seems to be surging ahead of Summer at the moment. The other factor, I think, was to promote a romance between her and Noah Newman. Remember too, that the writers suddenly reformed Hillary because they want her to be involved romantically with Devon. no one ever gets punished for their crimes or misdeeds in Genoa City. Yes, Chloe went over the edge by kidnapping cute baby Connor and it seems as if she had a brief spell of insanity. As for getting punished for crimes and misdeeds, most of the residents of Genoa City have been behind bars at some time for various reasons. Make a list of the GC characters who have been behind bars and you will see what I mean. It's difficult for the writers to have them remain in prison long for storyline purposes. It gets tiresome for an actor to be restricted to jail scenes and prison visits from other characters. It's tiresome for viewers too. Paul Williams is inept as a police chief. You get no argument from me on that one, CC. Millie from Mississauga, Ontario predicts that Dylan and Chelsea will get back together. Perhaps, Millie, but not anytime soon. He's too smitten with Avery right now. Since we're talking about a soap, however, Avery and The Handyman can't remain happy for too long. Chelsea doesn't have Adam right now, although he is bound to reappear. Therefore, she may be quite open to the affections of Dylan since he is so attached to little Connor. Helen from Scarborough, Ontario is amazed at how quickly Kevin Fisher arrived in Paris. Wow! Maybe he can fly faster than a speeding bullet like Superman. Maybe this is a soap and you can't expect reality or you'll be sorely disappointed. There are just some questions the writers don't want you to ask. I ask them anyway, just for amusement. For example, Sugar Cane Ashby sure recovered quickly from his gunshot wound, didn't he? Cynthia Watros' stay on The Young and the Restless was very brief. She only joined the cast last November. However, as I mentioned in my last Y&R Report, Watros, who plays the role of Kelly Andrews has recently landed a part on a primetime MTV series, Finding Carter. According to soap writer Dan J. Kroll, she will be replaced by two-time Emmy winmer Cady McClain. The new Kelly is known for her portrayals of Dixie on All My Children and Rosanna on As the World Turns. Helen from Scarborough thinks that Nikki dressed quite strangely when she went to see Ian Ward. She says Nikki's outfit resembled a housecoat and couldn't help but notice that it matched the money bag she brought to Ian. Melody Thomas Scott has taken colour coordination to new lengths, hasn't she. By the way, Nikki was sure able to put together a million dollars fast. Ooops . . . that's another one of those questions the writers don't want us to ask. Avery: You doubt my effectiveness? Why? Because I am a woman? Dylan: Because you smell like a cupcake and that is not very threatening. Avery: I haven't made cupcakes in weeks. How would you rate David Tom's performance as Billy Miller's replacement as Billy Abbott? Excellent! He's even better than Billy Miller. Very good but not as good as Billy Miller. About the same as Billy Miller. Good but not as good as Billy Miller. Don't forget that the next edition of the Y&R Report will appear in this space on Saturday, March 15, 2014.